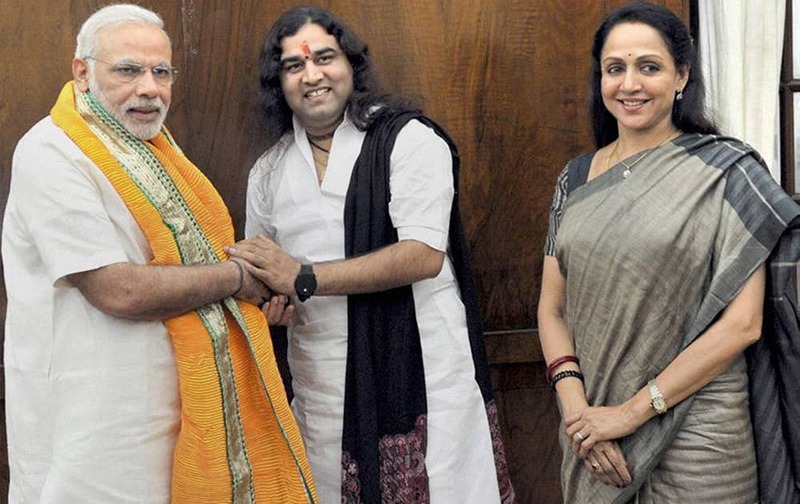 Prime Minister Narendra Modi with Devkinandan Maharaj and MP Hema Malini in New Delhi. 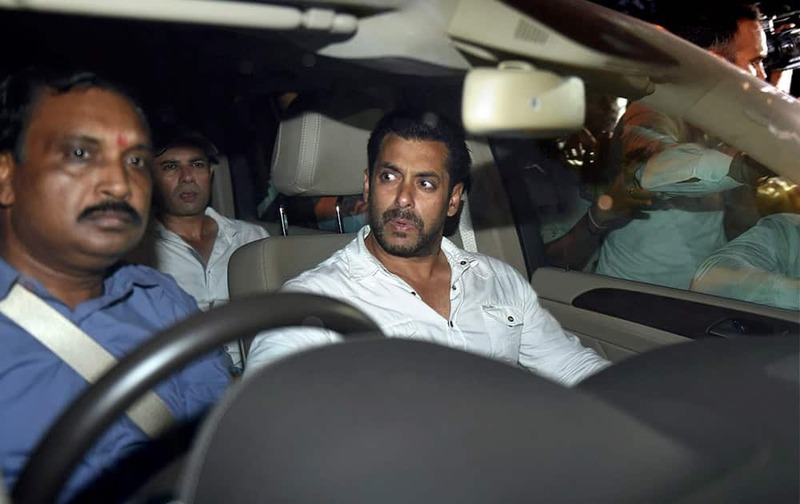 Salman Khan leaves the court after getting an interim 2 days bail by the High Court in the 2002 hit-and-run case in Mumbai. The court sentenced Khan to 5 years in prison for culpable homicide for the death of a man in the case. 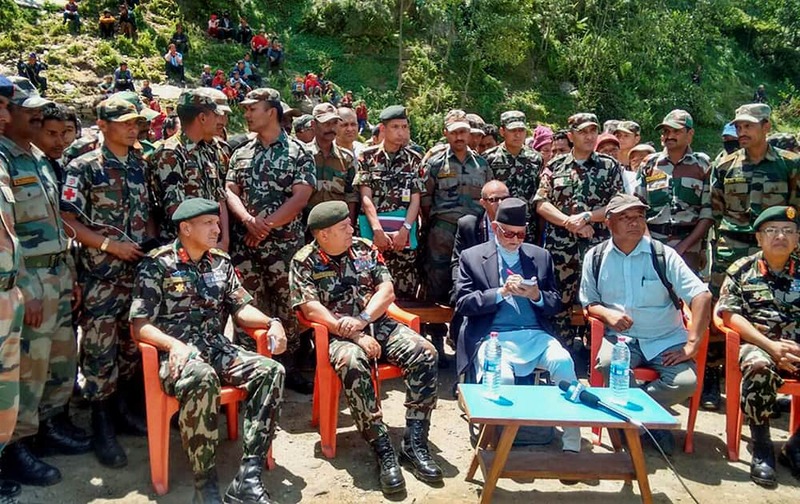 Prime Minister of Nepal, Sushil Koirala and Chief of Army Staff of Nepal visit Engineer Task Force location at Barpak. 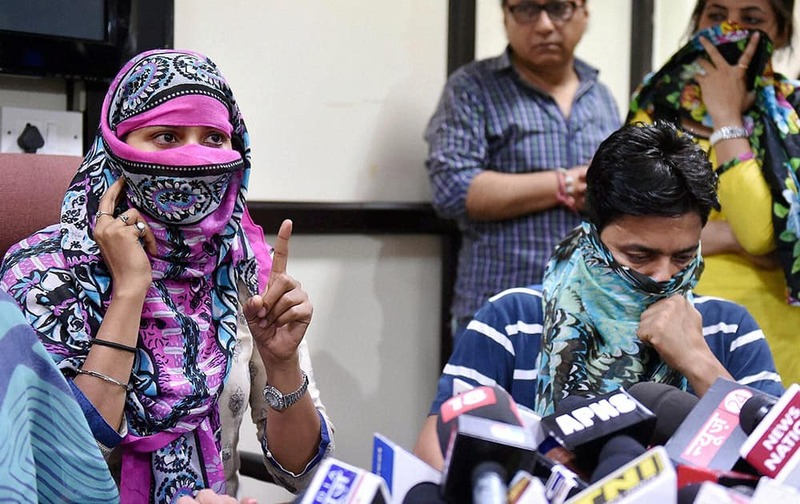 The woman who has approached Delhi, Commission for Women against AAP leader Kumar Vishwas, speaks to the media along with her husband in New Delhi. 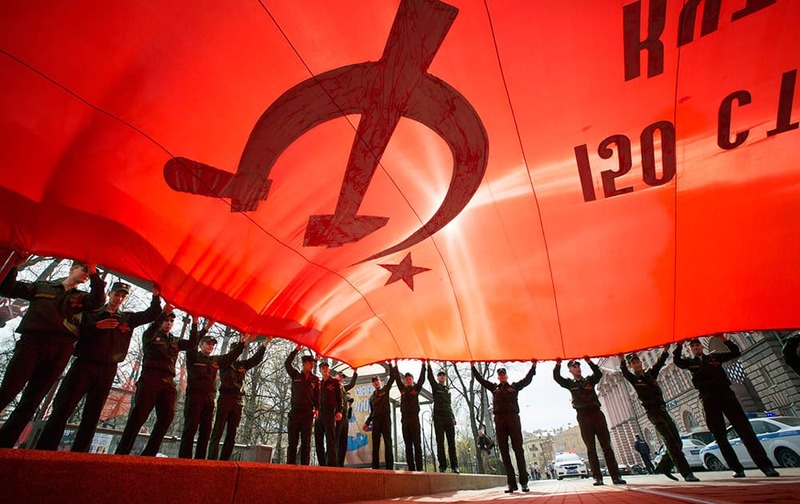 Cadets hold an enlarged copy of the Banner of Victory during a celebration of the upcoming Victory Day in St.Petersburg, Russia. Victory Day, marking the 70th anniversary of defeating of Nazi Germany will be celebrated on May 9 in Russia. 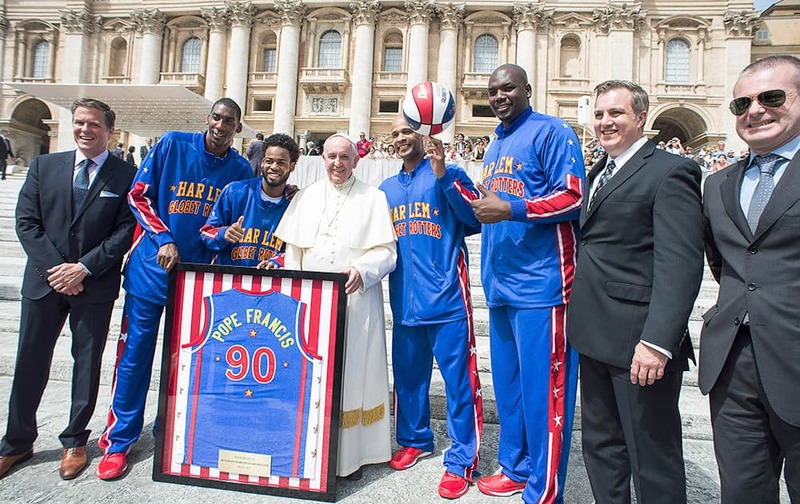 Harlem Globetrotters' Hi-Lite Bruton, Ant Atitkson, Pope Francis, Flight Time Lang and Big Easy Lofton pose for a family picture as they meet during the general audience in St. Peter's Square at the Vatican. Maria Sharapova from Russia returns the ball during her Madrid Open tennis tournament match against Caroline Garcia from France in Madrid, Spain. 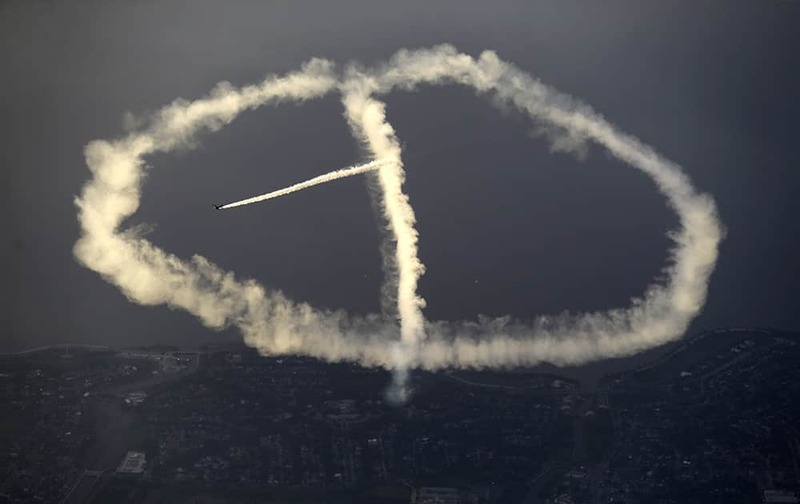 Skywriter Nathan Hammond works on a peace sign as he writes messages of hope and love over New Orleans, during the New Orleans Jazz & Heritage Festival. 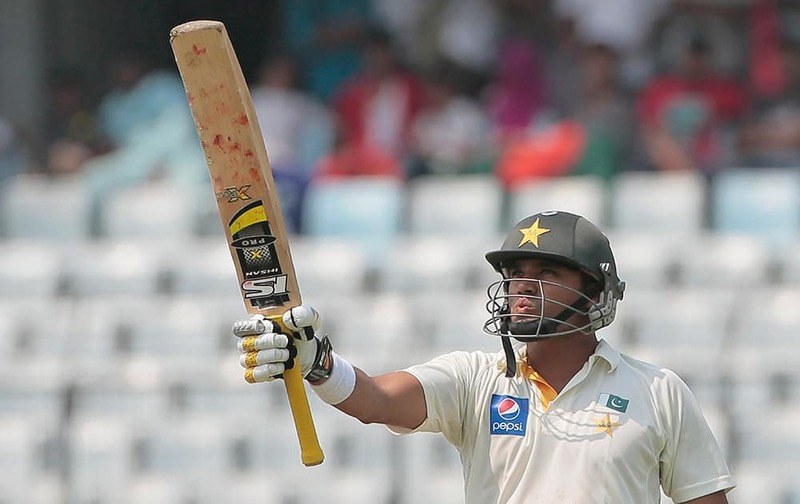 Pakistan’s Azhar Ali acknowledges the crowd after scoring a half-century on the first day of the second test cricket match against Bangladesh in Dhaka, Bangladesh. 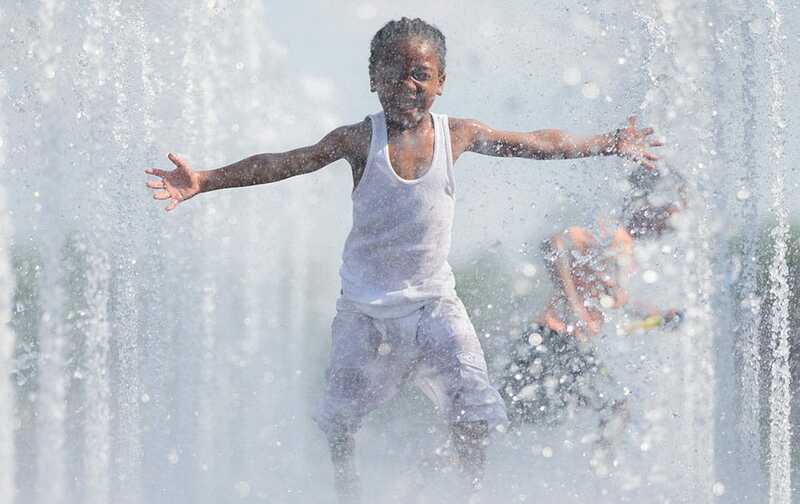 Kaydann Marshall runs through a park fountain in Cincinnati. Temperatures rose past 80 degrees for the second consecutive day as warmer weather settled into the region. 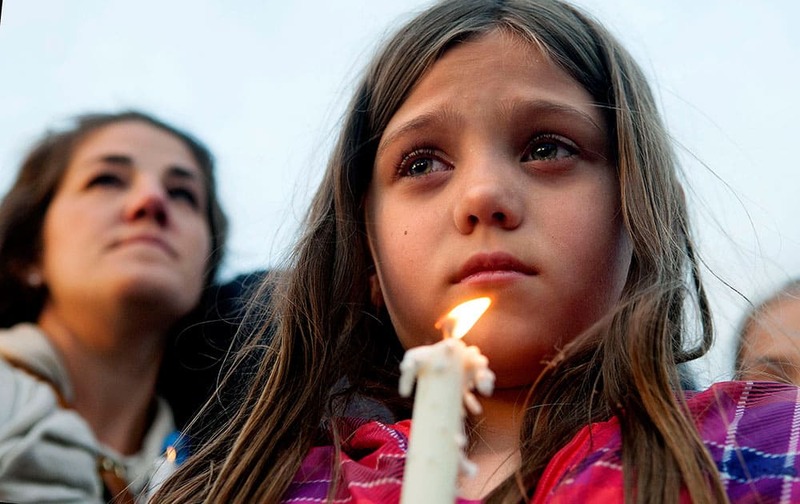 Maya Averill, 9, attends a candlelight vigil for Sgt. Greg Moore, a 16-year veteran of the Coeur d'Alene Police Department who was shot after checking on a suspicious person in a neighborhood, in northwest Coeur d'Alene, Idaho. 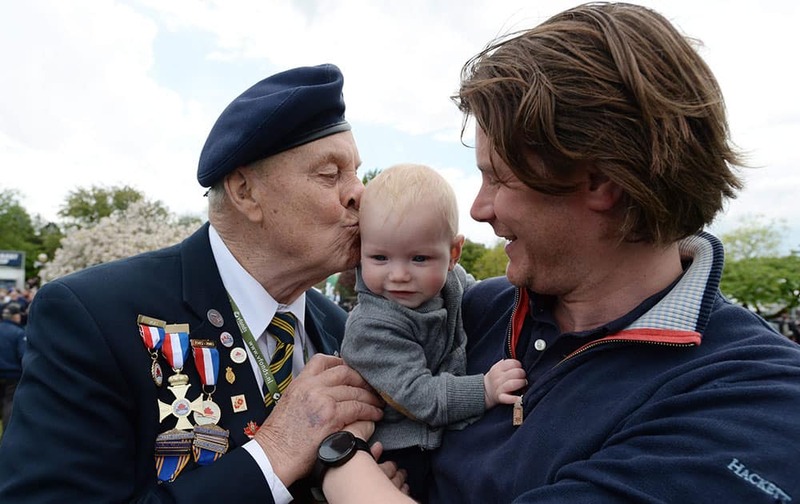 Canadian World War II navy veteran Bert Reynolds, 88, kisses six-month-old Siem Henken, held by his father during VE-Day celebrations in Wageningen, Netherlands. 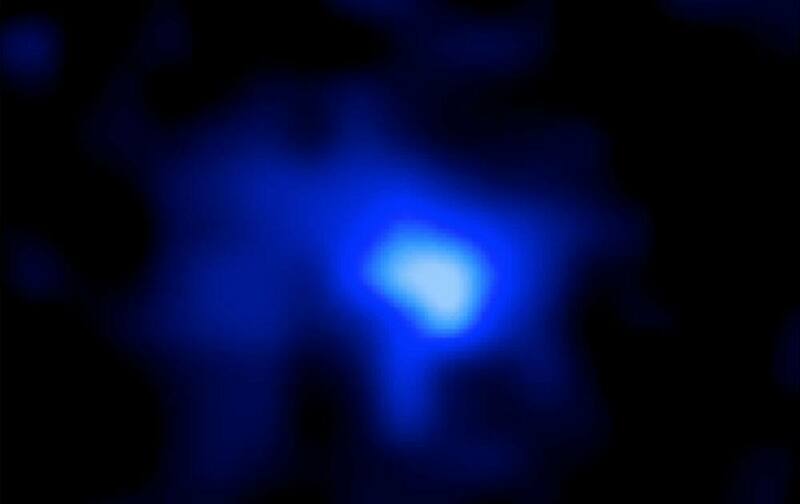 This handout photo provided by NASA and the European Space Agency, taken in 2013 with NASA's Hubble space telescope, shows a galaxy from the farthest distance recorded: 13.1 billion light-years. 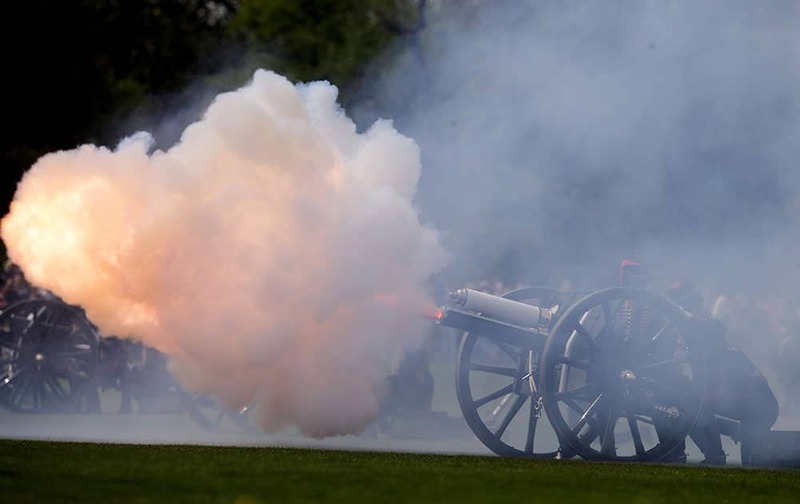 Soldiers of The King's Troop Royal Horse Artillery fire a 41 gun salute to mark the birth of the Duke and Duchess of Cambridge's second child, in Hyde Park, London. 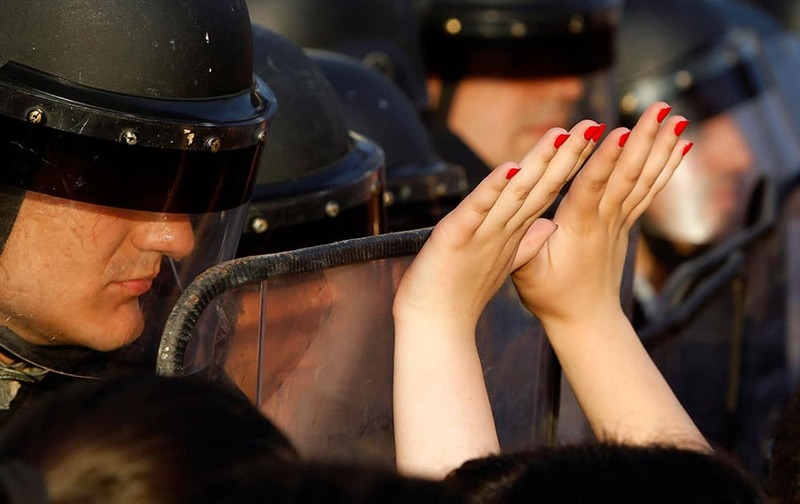 A woman lifts her hands up in front of the police during a protest in front of the Government building in Skopje Macedonia. A student sports on her belly a writing that reads: against "the good school" referring to the name of the government's bill, during a rally against the government's education reforms, in Rome. 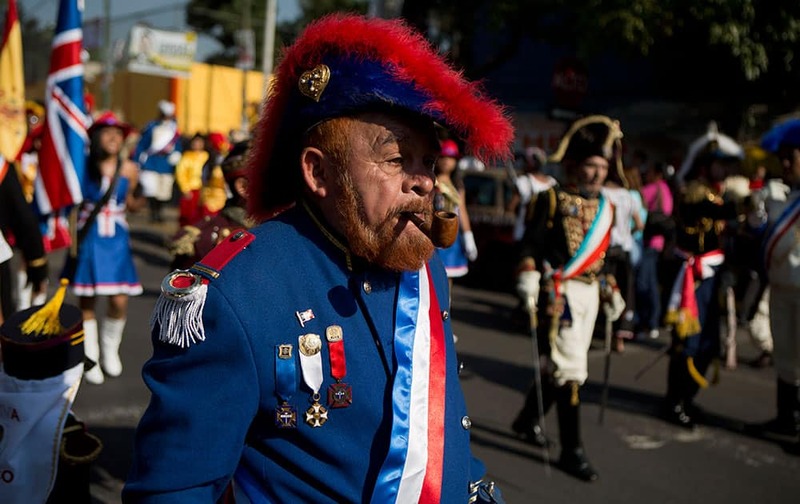 Mexicans dressed as French Army officers walk in a parade ahead of a reenactment of the battle of Puebla between Zacapoaxtla Indians and the French army during Cinco de Mayo celebrations in the Penon de los Banos neighborhood of Mexico City. 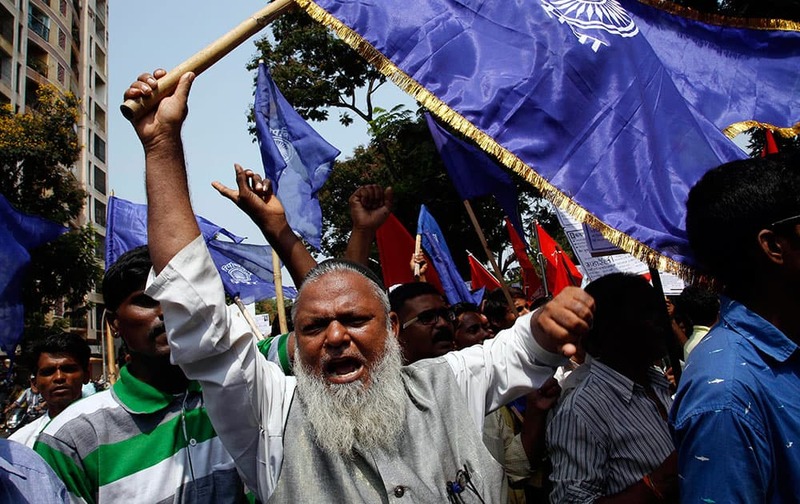 A man shouts slogans during a protest against Maharashtra government’s beef ban in Mumbai, India.